Chelsea have accepted Manchester United’s offer of £37m for midfielder Juan Mata, the Telegraph understands. The Spain international, who been used sparingly since Jose Mourinho returned to Stamford Bridge, is now free to discuss terms with the Premier League champions, who lost their League Cup semi-final with Sunderland on penalties at Old Trafford yesterday evening. Should the deal go through, the 25 year old will become the most expensive player in Manchester United’s history, while the fee would also be the highest the Blues have ever received for a player, far eclipsing the £24m that Real Madrid paid for Arjen Robben in 2007. Mata was named Chelsea’s Player of the Year in both of his full seasons with the club after scoring thirty-three goals and making fifty-eight assists in one hundred and thirty-five games in all competitions, while in terms of honours, he helped the club to success in the FA Cup, Champions League and Europa League. His last appearance for the club came in the 3-0 win over Southampton on New Year’s Day, where he was substituted in the 53rd minute. He didn’t hide his frustration as he left the pitch, and had to be calmed down by his teammates after he kicked a plastic chair in the technical area. Xabi Alonso has ended speculation that he could be set to reunite with Jose Mourinho by penning a new deal at Real Madrid, according to the Independent. The 32 year old was due to be out of contract at the end of the season, but has now extended his contract with the La Liga giants to 2016. The Spain international, who announced the news on Twitter by posting a picture of him and Real president Florentino Perez holding a shirt with ‘Alonso 2016’ on the back, is currently in his fifth season in the Spanish capital, having previously spent five years in the Premier League with Liverpool. Staying in Madrid, Thibaut Courtois is keen to resolve his future quickly, ESPN understands. The Belgium goalkeeper, currently in his third season on loan from Chelsea at Atletico Madrid, is keen to know where he will be playing his football next season. The 21 year old former Genk man has excelled in his time in Spain, winning the Europa League, the UEFA Super Cup and the Copa del Rey, while this season they are currently joint on points with La Liga leaders Barcelona and qualified from their Champions League group in first place. Real Madrid have joined the race to sign Juan Mata from Chelsea, according to the Daily Star. 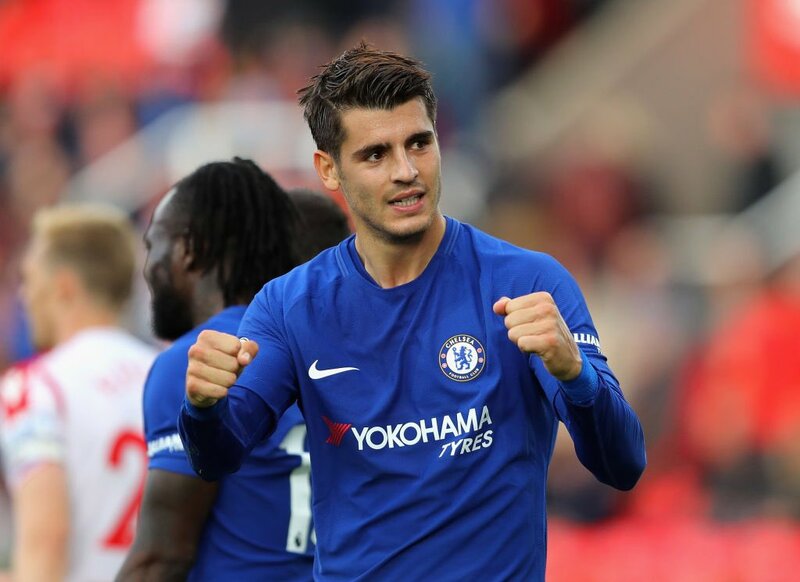 As he was in the summer, the Spain international has again been strongly linked with a move away from Stamford Bridge after failing to hold down a first team place under Jose Mourinho. The two times Blues Player of the Year displayed his frustration after being substituted in the New Year’s Day victory over Southampton, and now Mourinho has opened the door for his possible departure. Should Mata move to Real, it could pave the way for Angel Di Maria to secure a move to the Premier League, with both Arsenal and Manchester United reportedly keen on signing the Argentina international. Meanwhile, another midfielder who could be on his way out of the Bernabeu is former Liverpool man Xabi Alonso, who could secure a cut-price return to England this month, the Mirror understands. The 32 year old is yet to sign a new deal with the La Liga giants, and has been linked with both a return to Anfield and a move to Stamford Bridge, where he would again link up with the man he played under for three seasons in Spain.